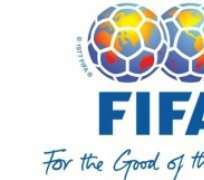 The world football body FIFA has said that it would not consult with any of the parties battling for the leadership of the Nigeria Football Federation before throwing the country out of the game if it found that a third party has been meddling in the nation's football affairs. The Nigerian football community was jolted by a Supreme Court decision on Friday directing the parties to go back to the Jos High Court to sort out the suit filed by a party claiming it is the right board to lead the federation. The world body later extended the five-year ban to a worldwide ban following the Giwa group's decision to take their case to the CAS. In the FIFA letter to the NFF in 2016, the world body said: “In accordance with art. 136ff of the FIFA Disciplinary Code, the chairman of the FIFA Disciplinary Committee has decided to extend the five-year ban from taking part in any kind of football-related activity imposed on the five officials to have worldwide effect. “The relevant member association, as well as CAF has been duly notified of the chairman's decision. Reacting to Friday's Supreme Court decision on the issue, FIFA warned Nigeria at the weekend that it would not hesitate to throw the country out of world football, including stopping the Super Eagles from participating in the 2018 World Cup.